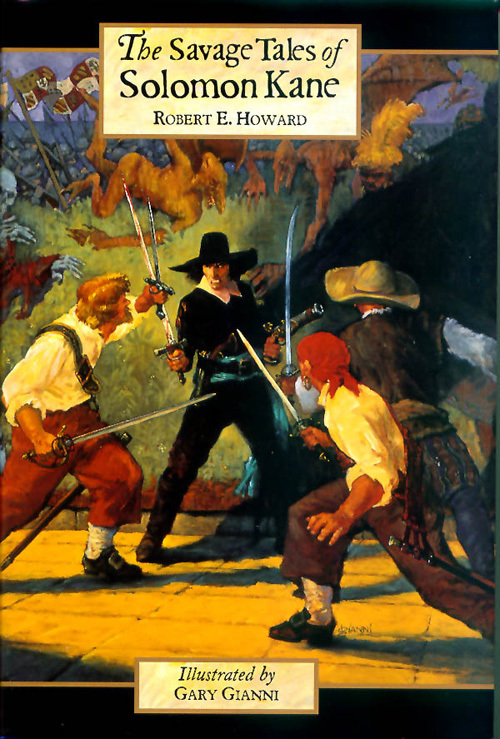 Finished the collection of Howard’s Solomon Kane stories and holy crap, I wish he had done another 10-15 of these. The stories are incredibly visceral and intense and while a bit more focused on Africa than I would have liked, there are some good pirate stories in there too. While Conan’s stories are also amazing, Solomon Kane is a lot more relatable since the stories take place in the early modern period and not an imagined pre-history. I feel like his story arc was not completed by Howard, and that’s sad. The final story in the book is just a fragment, but still worth reading. The version (Savage Sword) has excellent illustrations throughout as well. And speaking of early modern… Bloodborne by the Dark Souls peoples (From Software) looks to scratch the exact itch not having more Solomon Kane stories caused. Thanks for the like SHINE. I posted a battle report for Bolt Action to the tube of you. We played the Top Secret scenario and it was a fantastic game even though we fucked up the rules! This is all about the tactical battles and a lot of babbling to boot. Looks quite interesting, proceedurally generated maps, custom warbands and a spell system that has a chance of failing to cast. What I really liked is that it mimics the miniature game in that you don’t know if your guys are wounded, dead or OK until after the battle when they get taken out. It’s in pre-order at the moment for eventual early access on steam. Oh, and this is by the blood bowl guys.